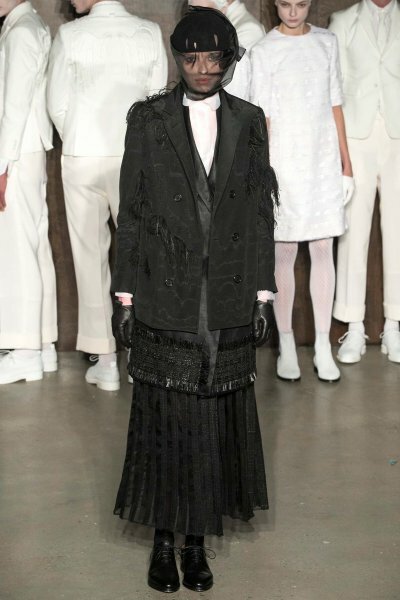 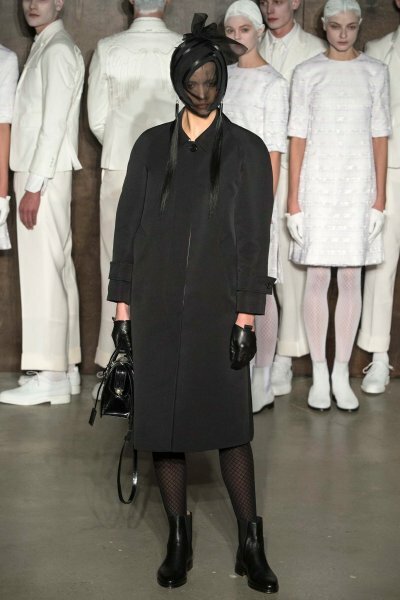 Thom Browne‘s New York Fall/Winter show was inspired by Death Becomes Her, the Metropolitan Museum’s exhibition of mourning clothes from the 19th century. 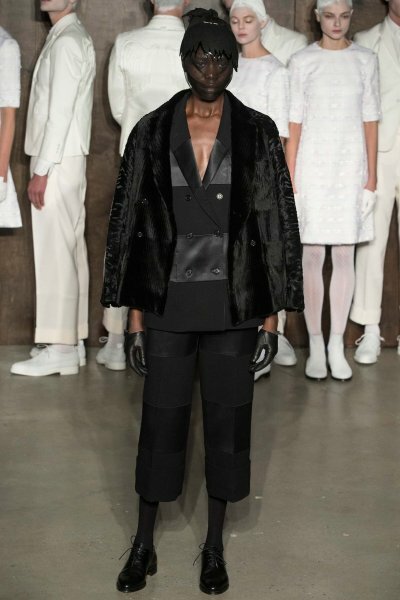 Blond beauties in white half-slumbered in a dreamlike state between life and death, tended to by gilded male angels, until they they were awakened by the glamorous black-clad Grim Reaper in the dramatic show. 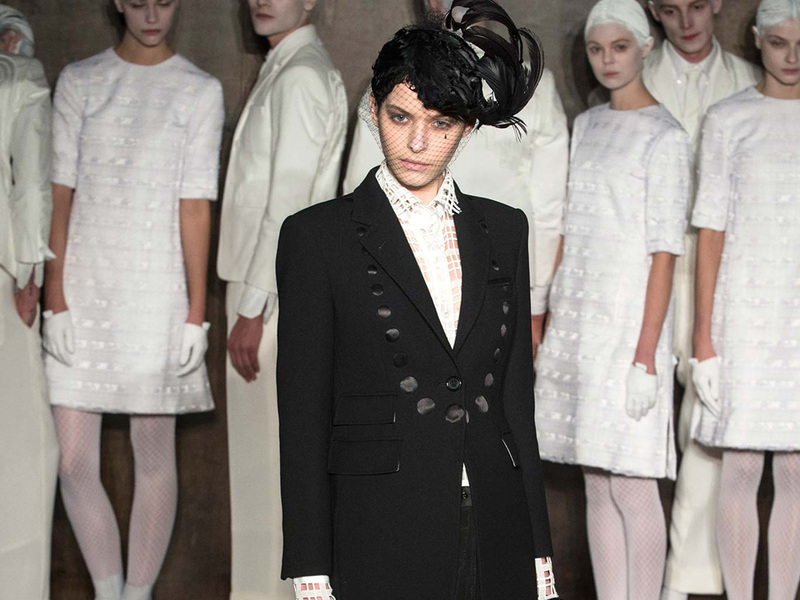 Much like Browne’s beloved black and white silent films, the show had a mysterious, old-world feel, holding secrets in the in-between realms – not quite goth, not quite vintage, not quite straight-up glamour – but all lustworthy.